Today has been a very rainy day, at times, quite heavily so. It has been a good day to stay inside and work my puzzle and read a good book. 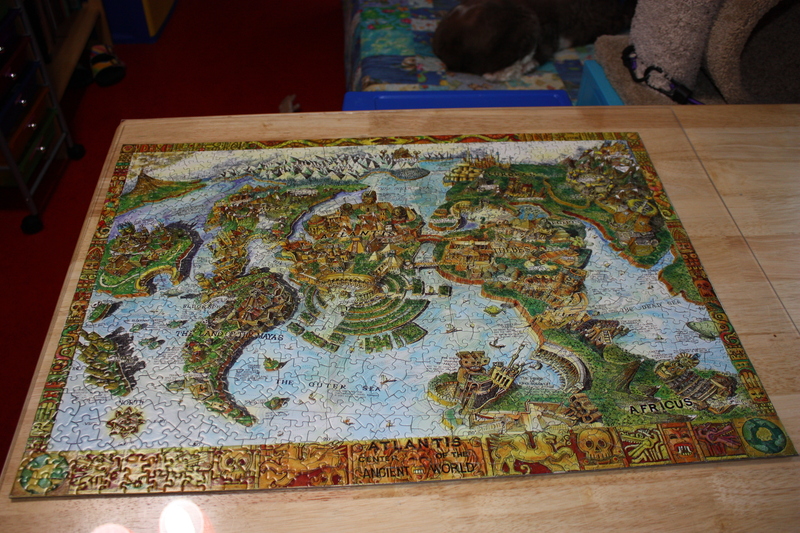 I have now finished my first 1000 piece jigsaw puzzle and it was a lot of fun!! I believe I will start another tomorrow, as that is one of many things that makes winter break fun!! Complex! Sometimes bad weather is a blessing – especially if it allows time to relax and enjoy oneself. So true! It is complex–don’t want others to have to deal with the nasty weather, but I’m always happy for a reason to stay home!